Holwell Sports are to launch an academy side next season as they look to strengthen their future and stop the haemorrhaging of top local talent to Leicester and Nottingham clubs. The Asfordby Hill club has reached an agreement with junior football coaches Stuart Worby and Jamie Stacey-Smith to introduce an academy-style approach at Holwell. Hoping to generate players for the long-term survival of the club, Holwell chairman Graham Lewin and committee members met Worby and the proposed management team who will run the new venture as a sub-section of the club. Holwell will support an application for an under 13s side to play in the Saturday Junior Premier league next season. The league was conceived by large clubs from the Midlands, Southern England and Wales who wanted to develop players through enhanced coaching and higher-quality junior matches. The Holwell Junior Football Academy will hold open trial sessions in May to select an initial under 13s squad. “This venture is crucial to the long-term production of quality local youth players,” said Lewin. “It will give them a clear exit route to higher-level football when they reach the age where they can progress into the first team. The league is directly sanctioned by the FA to give players not already in a professional club academy or centre of excellence, the chance to play and train at a higher level and increase their chances of one day playing at the highest levels. Since starting two seasons ago the JPL has doubled in size each year. 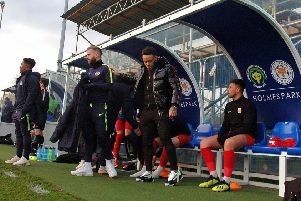 Holwell hope it will help stem the flow of talent leaving the area to join academies or higher-league clubs in Nottingham, Leicester and beyond. Discussions have been held with local clubs who agreed the initiative will help limit the draw and loss locally, of the best players to high-ranked clubs. It is hoped the Saturday morning JPL matches will not impact on players already involved to Sunday football for the established junior clubs such as Mowbray Rangers, Asfordby FC and Melton Foxes. * Dates and venues for the open trial sessions will be announced in the coming weeks.